If there's ever a bill that should never come up on the floor for a vote, it's Senate Bill 1881. This bill calling for tightened sanctions on Iran would blow up the successful nuclear talks– and Senate Majority Leader Harry Reid could bring it up for a vote in the Senate any time. President Obama even called it a "march to war"! Tell Senator Reid to STOP THIS BILL! President Obama has said he will veto this bill if it passes, but because of heavy pressure from the Israel lobby AIPAC, the Senate already has 59 cosponsors, and only needs 8 more votes before the bill can override a presidential veto. We need YOU to take action: Sign this petition to Senator Reid now, and then take a minute to call his office at (202) 224-3542. Tell him not to undermine this golden chance for diplomacy, keep the Iran sanctions bill S.1881 off the floor! 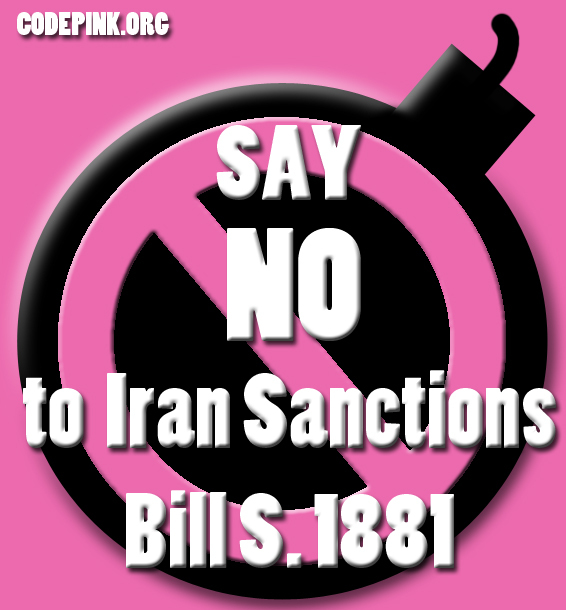 Tell Senate Majority Leader Harry Reid to stop S 1881!